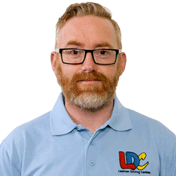 Every one of my lessons with John began with the words “So, what do we know?” I know the LD System worked for me. The workbook and the videos really helped me prepare for each lesson in my own time. I know John is a terrific instructor; patient, encouraging and really easy to get on with. If felt like we clicked right from the start (unlike my previous instructor, who put me off learning for years!). I know John and the LD System were the perfect combination for me. 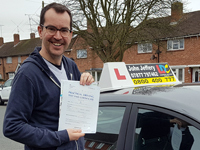 He allowed me to give it a go, learn from my mistakes and helped me develop the skills and confidence that I needed to pass first time. I can't recommend him highly enough! Thanks, John. See you on the road.